Delta's joy of singing is only matched by the joy she gets from sharing her songs with others. 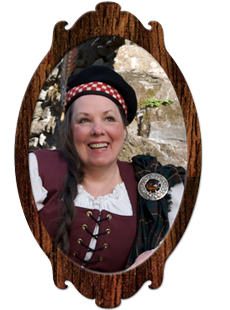 Her love of cultural heritage, be it Scottish or American, is carried through to her song styling. 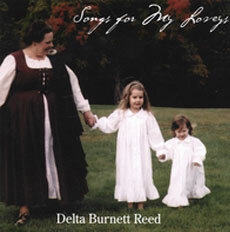 Her first album "Songs for My Loveys" was a compilation of lullabies and melodies for both the young and the old. Her newest work "Children of The Mist" brings her cultural influences to the forefront. A collection of 13 folk songs to help lull your little ones into dreamland. Some songs your children may already know, while others will be new discoveries for you both. There are several classic Celtic songs brought to new life with modern production. All songs are very calm and soothing, so it will be easy to let the album play on well after the slumber starts. Inspired by the culture and landscape of Scotland, "Children Of The Mist" breathes new life into traditional folk music of the highlands. Accompanied by a variety of talented musicians and producer Joe Podlesny, Delta's voice will take the listener from the 1600's to 2010. 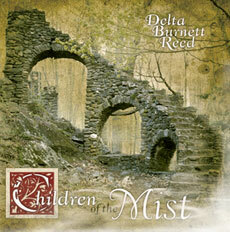 "Children Of The Mist" is a new classic and a wonderful presentation of musical history with a modern flare. Delta will get back to you as soon as she is able.